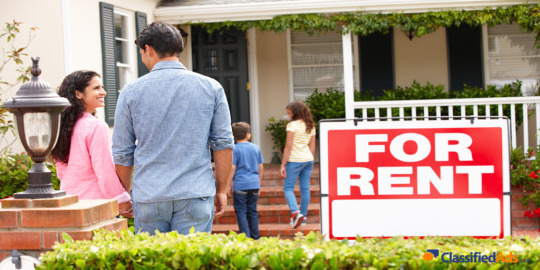 With the right resources, finding a rental home doesn’t have to be confusing. Before you sign the lease, consider these tips for finding the perfect rental home. Then, browse ClassifiedAds.com to find your next home. Before you go rental house hunting, you need to know how much you can afford to spend. When you establish a clear price range for your monthly rent, you can focus your housing search on those properties that are financially viable. Tally up your monthly expenses, excluding any current housing costs, as well as your monthly income. Determine the difference and decide what percentage of that money you’re willing to put toward rent. For example, you might have $1,000 available per month for housing, but you want to set aside $300 a month to save for a down payment on a house. Account for those saving goals when setting your housing budget. Commute time: How far are you willing to drive to work every day? Walkability: How pedestrian-friendly is the neighborhood? Schools: How are public schools rated in the area? Safety: What do the local police department’s crime statistics say about the community? Convenience: How close are you to the local hotspots – nightlife, dining, sports stadiums and parks? In addition, before you rent, spend some time in the area, walking or driving around at different times of day to get a sense of traffic and soak in the local culture. What bills, if any, are included in the monthly rent? What bills is the tenant responsible for? What is the lease term, and is there a discount for a longer lease? Is the tenant responsible for lawn maintenance? The answers to these questions can help to guide you to the right rental home. Naturally, pet owners will need a pet-friendly abode, while potential tenants looking for maintenance-free living might not want to mow the lawn. A focused search and a thorough question-and-answer session about each property will help you find the right place to call home.